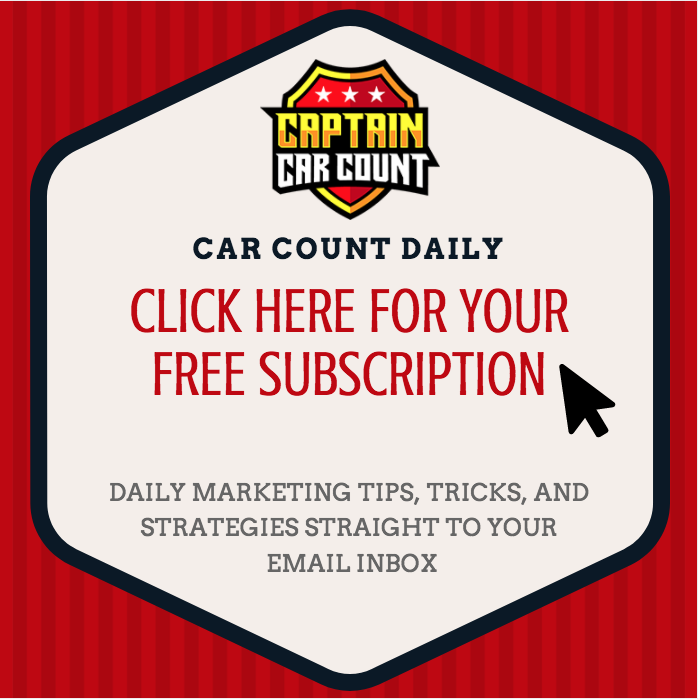 I’ve unlocked many tactics and auto repair marketing strategies as Captain Car Count, yet I still receive the same struggles from businesses in my shop owner training – “sure your ideas sound great, but how do I get my foot off the ground?” There’s a simple step-by-step formula, auto repair marketing idea, or a shop owner checklist, I’ve come up with to help motivate and get you started. The great thing about this list is that it only requires your willingness to take action and make your shop the best it can be. After implementing these steps, you’ll start to discover how much better your shop, and your life, can be. 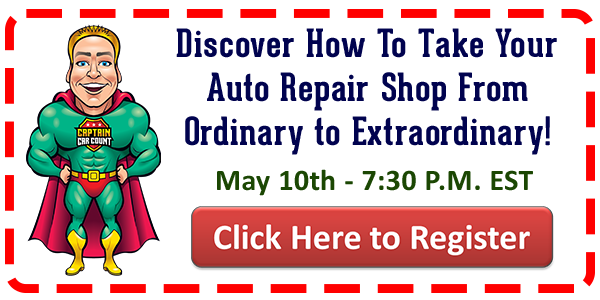 For some auto repair shop owner training – check them out below. Attitude – When was the last time you’ve ever seen a person with a crappy attitude achieve great things? Your success in 2017 will start by keeping a great attitude, even when things aren’t going your way. Change – You’ve no doubt heard the saying, ‘the definition of insanity is doing the same things over and over, but expecting different results.’ If what you’re doing now isn’t getting you the success you desire, you must do different things. If you haven’t been taking action on all the marketing strategies or shop management advice that I’ve been dispensing over the past 19 years, maybe it’s time to actually put them to work for you? Believe – If you think you can, or think you can’t – either way, you’re right! Successful shop owners are never blind-sided by their high achievements because they always believe that good things can and will happen. Goals – If you don’t know where you are going, any road will take you there. The reason why 98% of people never achieve the success that they desire is that they never take the time to figure out what success means to them. At a minimum, take the time to figure out what you want to achieve by this time next year, write it down with lots of details, and then read it every week so that you never lose sight of where you want to go. Focus on the Money – You’re in business to make money, up your profitability, period. 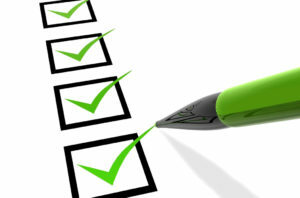 Focus at least 90% of your efforts on tasks that bring in the money or that save you money. Focus on the Time – You, me, Bill Gates – we all have the same amount of hours in the day. How you choose to spend that time will directly effect how much time you must spend working, how much money you will make, and how much time you get to spend with your family and friends doing what you want to do. Allowing just one crappy customer, employee, or even one meaningless unprofitable task to eat up your valuable time will cause you to work longer, make less, and have less free time to go out and enjoy life. Learn More – It’s crazy to think you know it all already. ‘Nuff said. Model Others’ Success – If we woke up every morning and had to re-invent the wheel just so we could get to work, we’d never get anything done. 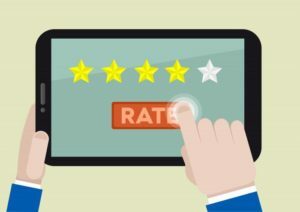 Don’t waste time re-inventing great marketing strategies to bring in more customers – just use the ideas that have already been invented and proven by thousands of business owners just like you. I’ve got lots of them to share with all of my members. Ask – The dumbest questions are the one’s never asked. Even if you are not a member of my repair shop coaching group that has direct access to me, I have a great staff that is ready, willing, and able to answer your marketing questions or to point you in the right direction to someone else that can help. Just call. Make Smart Decisions – Deciding to put all the ingredients in this recipe for success to work for you is a very smart decision. Deciding to print this out and hang it in a place where you will be constantly reminded of it is another smart decision. Deciding to read and respond to this message every day and take action on all the killer ideas that I’ll be continuing to send your way in 2017 – well, that would be a brilliant decision! I’d love to hear your thoughts.